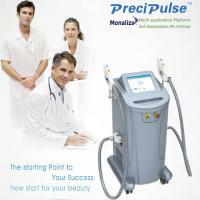 The spectrum of Intense Pulsed Light Therapy Device is continuous which contains wide wavelength ranges. It selective light filtering scope is 690/560/420-1200nm. 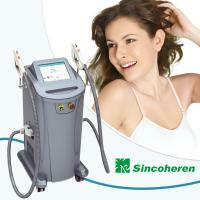 Ascertainable effects on skin include heat, machine, electromagnetism, photochemistry and physical stimulation. 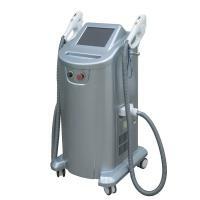 The working principle of IPL lies in treating benign lesion of skin pigmentation, vascular disease and hirsutism with IPL’s photothermal effects. Treating results are realized through different target skin cells’ (including melanin, hemoglobin, collagen, and water) absorbing ability for photothermy. 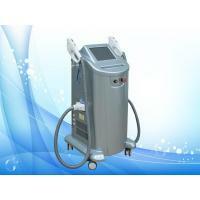 The combination of short pulse width, low energy density and cooling system guarantee effective treating results without injuring normal tissues. Based on principle of selective photothermy, i.e. 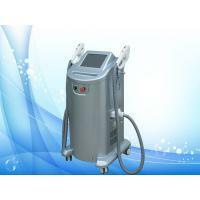 intense pulsed light with wavelength of 690/560/420 ~ 1200nm, which will be penetrated into derma, the abnormal pigment granules and block mass absorb light and pigments will be resolved. Some resolved debris will be peeled and remains will be eliminated out of body by phagocyte. After 5-14 days, hyperpigmentation will be lighter and become normal. 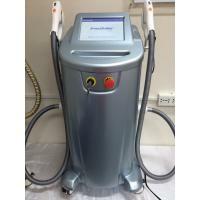 Treatment principle of Intense Pulsed Light Therapy Device: Multi-wavelengths and colorful wide spectrums produced by Intense Pulsed Light penetrate into epidermis and reaches dermis. Acting on abnormal pigment cells and target vascular tissue, IPL dissolves abnormal pigments, closes abnormal vessels, and stimulates regeneration of collagen. 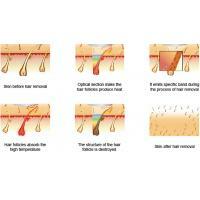 Then, elastic fibers will be rearranged and effects of pigments removal and skin rejuvenation will be achieved. 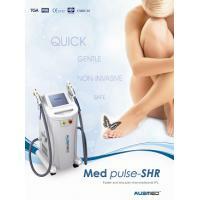 This treatment is targeted, symptoms pointed and energy sufficient. 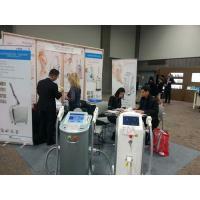 Manufacturer Beijing Sincoheren Science and Technology Development Co. Ltd.
Sincoheren is a senior medical and aesthetic equipment supplier founded in 1999.Over the past 19 years,Sincoheren has been focusing on developing various medical and beauty equipment.Our headquarter is in Zhongguancun,Haidian District,Beijing. As a high-tech enterprise,Sincoheren possesses the certificate for producing and selling medical instruments and owns independent intellectual property rights.In the company,we set R&D department,sales department,production department,quality inspection department,and general administration department,etc.Sincoheren possesses large plants covering 5000㎡,among which the office buildings take 2/5.We are now staffed by 300 people.Contributed to the powerful technique.abd first-class service,Sincoheren is rapidly tapping into th international market in recent years and our annual sales grows to hundreds of billions yuan. 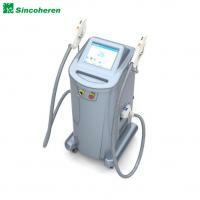 Successively in the past 19 years,Sincoheren has developed medical laser skin treatment instrument(Nd Yag Laser),intence pulsed light medical device,RF body slimming machine,tattoo laser removal machine,laser hair removal device,fractional CO2 laser equipment,coolplas fat freezing machine,and HIFU machine,Raliable qualitya and considerate after sales service is why we are so popular among partners. 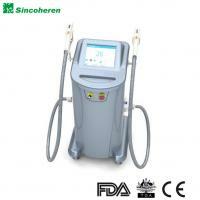 Monaliza Q-switched Nd:YAG laser therapy instrument,one of the brands of Sincoheren,is the first laser skin treatment equipment that gets the CFDA certificate in China.